Moving house often throws up unexpected bumps in the road. A common problem is needing to store items before a new property becomes available, or discovering you don’t have as much space in the new house as you did in the old one. That can leave you looking for storage in Southampton, or the wider Hampshire area. This is where Watson Removals Southampton can help. We’re ready when you need a great solution, and fast. 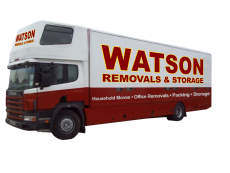 At Watson Removals Southampton, we are proud to be one of the most experienced firms working in removals and storage in Southampton and have the skills and experience you need for a smooth move. We offer storage, packing materials, and secure boxes – we have everything covered. We have built a reputation for being professional, flexible and committed and will do all we can to reduce the stress in your move. We are ready to help quickly and effectively and can be there when you’re short on time, or space when organizing your move. Our removals staff are brilliant at moving boxes safely, securely and systematically. This means we can tackle any challenge from the tightest corners to the bulkiest of items. This means that if you have an awkward move or a move that requires specialized support and experience, we can help. We also know that moving to a new house is already an expensive business. With that in mind, we go out of our way to be affordable, without compromising on quality. If you need a removals firm to move, pack, or even dismantle your furniture before taking it into secure storage, then call us today. We can offer a range of flexible options to meet your long or short term storage needs. The process is really incredibly simple. Get in touch to discuss your requirements and we’ll organize packing, removing and storing your surplus items at our secure location. When the time comes to get them into their new location, we’ll move and deliver them to a location of your choice. Watson Removals Southampton are a full-service company, so we can take the stress out of your move, whatever you’re moving. We are highly-skilled in managing both residential and commercial moves, so whether it’s desks or duvets that you need to relocate, Watson Removals Southampton is a great choice. If you need to organize a quality move for affordable prices in the Southampton area, then contact a member of our friendly, helpful team today.